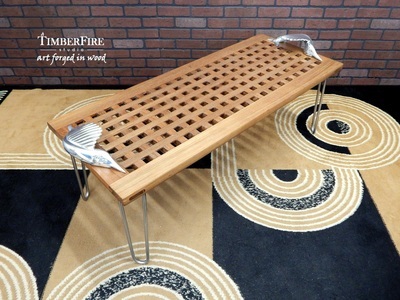 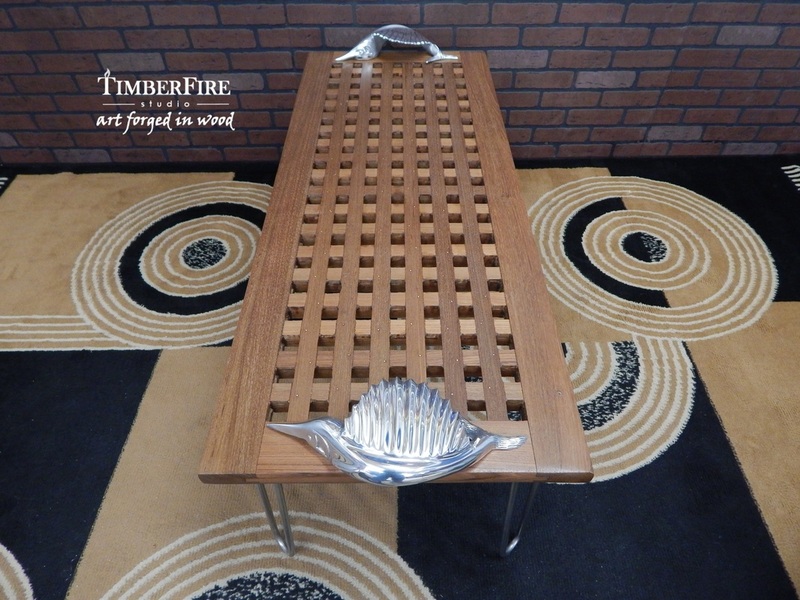 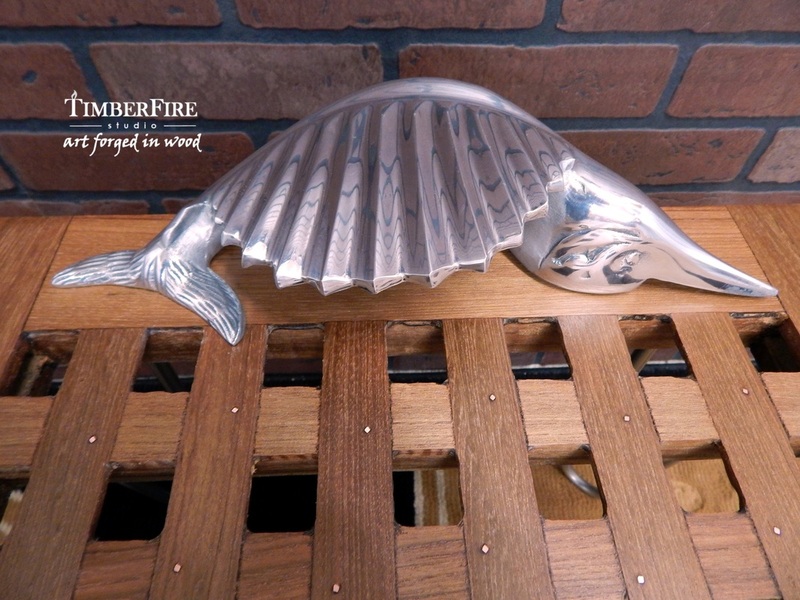 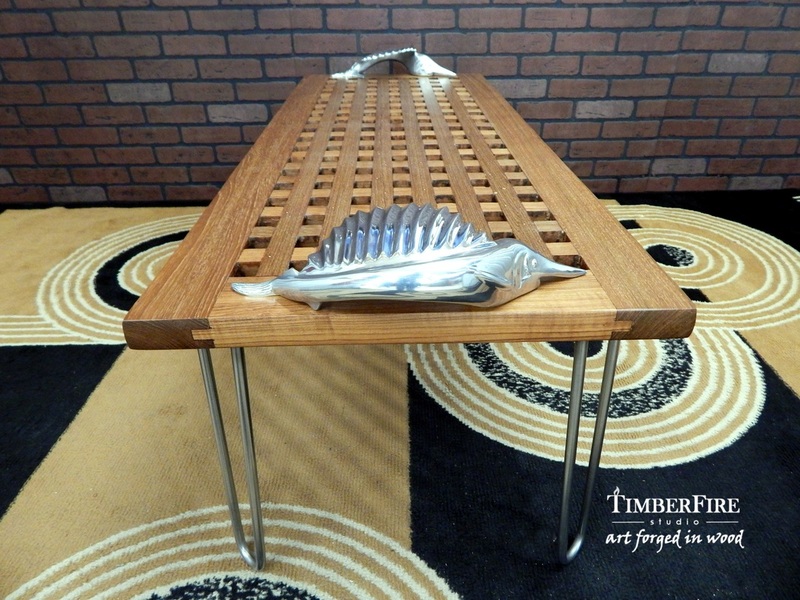 This nautical coffee table was created using an antique ship grate salvaged from a retired freighter after years of service at sea. Constructed from genuine Teak, the ship grate features square-cut copper nails with exposed mortise and tenon joinery. 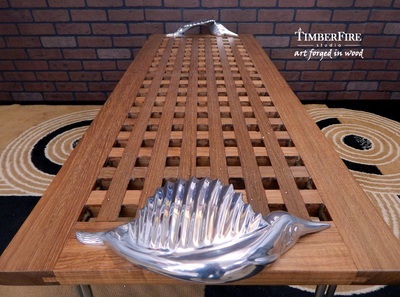 Numerous layers of old finish were painstakingly removed to expose the natural beauty of the wood beneath. It has been expertly refinished using marine spar varnish rubbed to a satin sheen. 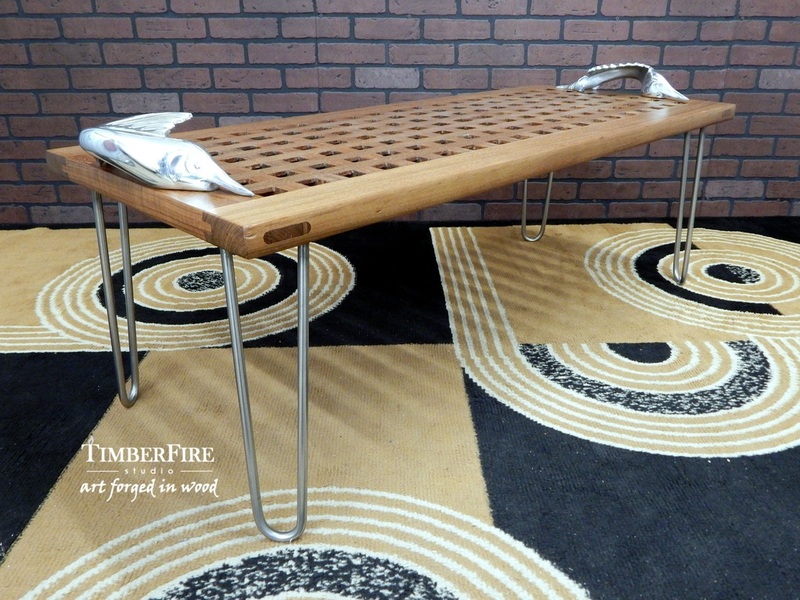 A splash of mid-century modern flair is provided by iconic hairpin legs that are custom made in the USA from solid stainless steel. 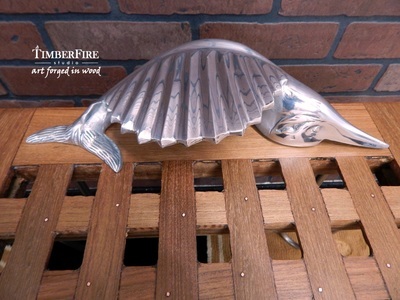 The crowning touch is a pair of elegant sailfish sculptures cast in polished aluminum to bring a little of the ocean’s magic to your living room.